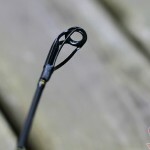 Tackle Industries Musky Rods – First Impressions | FISHING FURY - A Fishing Blog with Attitude! They say you never get a second chance to make a first impression, and its true. My first impression of Tackle Industries 9 foot musky was definitely memorable. All of my current fishing rods were bought from stores where I was able to to have a good look at each rod and lift each one to see which one felt right. I took a chance ordering a Tackle Industries musky rod without ever seeing one or picking one up. I don’t even know anyone that owns own, but the rods looked solid. After exchanging a few emails with the owner, and receiving some of the best customer service I have ever had, I not only ordered a rod but several lures too. I waited very impatiently for the rod to arrive, and just a few long days later I finally had it! The large tube shaped package stood before me, reaching all the way up to my ceiling. In its packaging it looked more like a stripper pole then a fishing rod. The package felt way too light to be a big heavy duty musky rod and for a moment I feared that someone had stolen the rod. I was relieved as I pulled the rod out of the case and saw the Tackle Industries logo starring back at me. It was extraordinarily light weight for its size, weighing in at only 9.4 ounces (268 grams) on my scale. To put that into perspective, a full can of Coke weighs 12 ounces. When you pick it up, its sort of like picking up a carton of milk when you expect it to be full and it isn’t. This is the fifth rod in my muskie/pike arsenal and despite being more then a foot longer then the others, its the second lightest, just behind my Shimano Compre muskie rod. 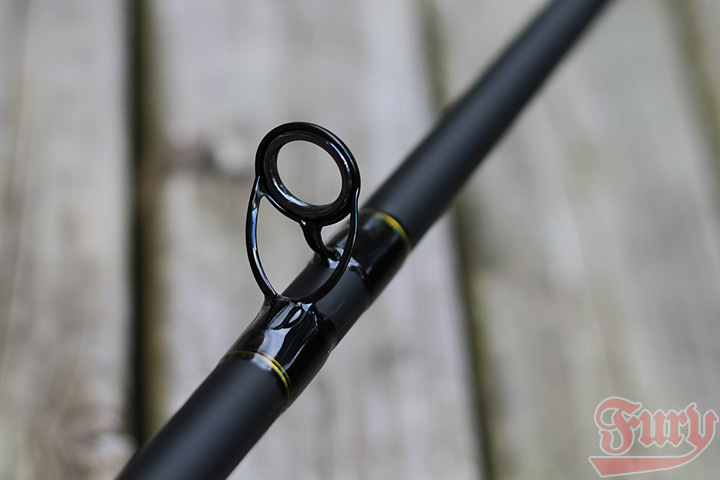 I cant wait to test this rod out on some big fish! Nice rod! though I’d have to imagine that being a 1pc rod that’s 9ft long, it’s gonna be hell trying to put it in any car other than in a truck! :) Still, it looks nice and its probably even better once you try it out on some muskies! I have to flip one of the back seats down and feed the rod all the way though the trunk in my Civic. In hindsight, the telescopic would have been a better choice! I was going to ask what it was made out of then I saw IM8 on the rod itself. That bad boy would also make a great stout striped bass (or any inshore fishing) rod. Yeah it would definitely be a great inshore rod, cant wait to get a big muskie or striper on it! I love that the lure weight is 3-12 oz! OUNCES! 12oz is almost a full pound! That rod has some serious backbone. There is also a rod from Tackle Industries that handles 8-36oz lures!! Rods are as good or better than Thorne Bros Predator rods and many of my St Croix rods. I sold all of my Thorne Bros rods and a few of my St Croix rods and use mostly Tackle Industries rods now. Very happy with the rods and for the summer $120 special they have right now its no contest for which rods I will buy from here on out! The big premium rod builders better watch out if a company like this can put our a premium product like this for 1/3 the retail! I have even thrown a 2lb Bulldawg just for fun with my TI MH rod because James told me that was what he tested his rods with initially. The MH rod threw it ! Lure almost touched my head LOL but it threw it just fine! 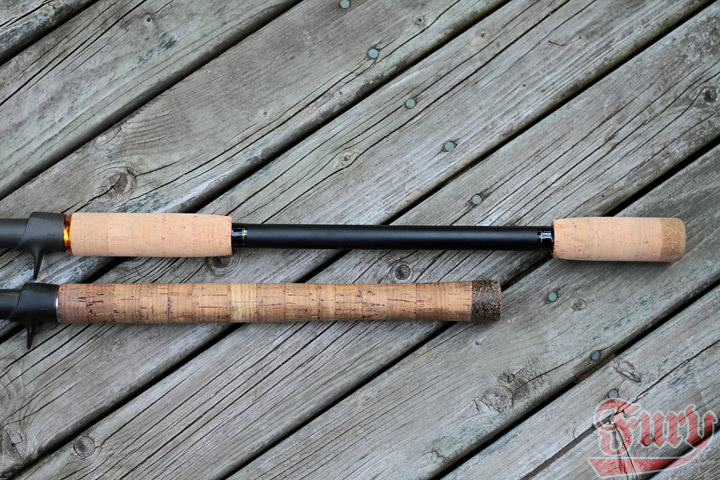 Phenomenal musky rods! http://www.tackleindustries.com Great lures too for about 20% less than most others! Got another t.i. . that makes five. realy liking the split hand.l. I THONK IT MUST BE LOVE!!! You know that feeling you get when your friend gets some amazing new gear that makes your whole closet full of gear feel so inadequate? That’s how I feel about my closet full of musky rods right now. 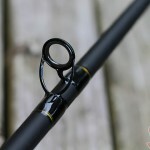 First, Thank you to Clive and http://www.fishingfury.com for such a great review. 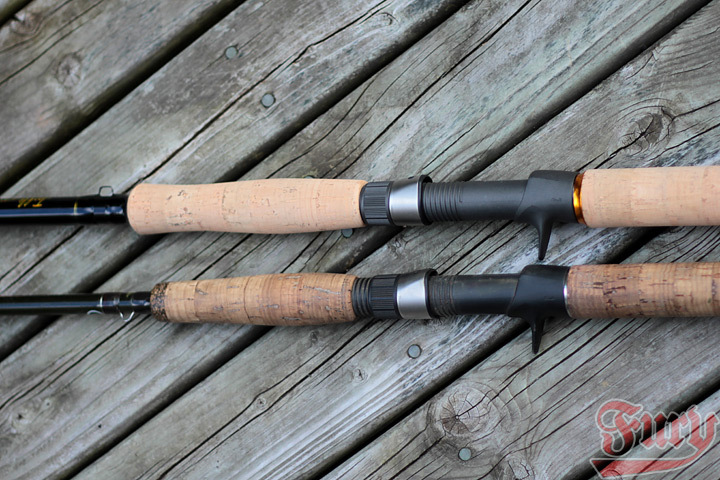 We appreciate your time taking a look and evaluating our rod line. It means a lot to us! 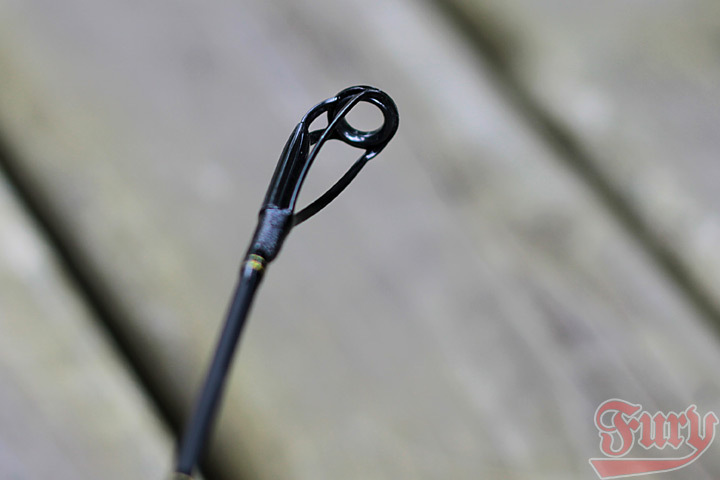 We are very happy to announce that eTackle in Canada has picked up our full line of rods. Please visit the below link and contact Phil if you would like to put an order in. If he is out of stock he does put in regular orders with us and can make sure your rod is in the next order. This will save you a lot of money on shipping! Even with our current special rods delivered to your Canadian address were costing between $210 and $230. eTackle is a lot cheaper due to the bulk freight shipping of our rods into Canada. Thank you eTackle!! Thanks for the updates James! Very interested in your 7′ 6″ xh 2 to 8 oz. T.I. muskie rod. I’ve heard a lot of good things about your rods, would like to try one. I’m fairly new to muskie fishing, an I fish for them in the upper Potomac river between West Va. an Md. I have a St Croix 8.0 mh which I like that handles 3/4 to 3.0 oz. 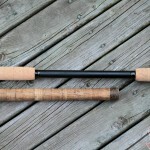 Do you have a 7.0 rod that would handle 2 to 6 oz ? I’m trying to use somewhat larger jerk baits in the 3 to 5 or 6 oz. range. Any input would be greatly appreciated . Thanks. 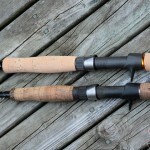 Just got the NEW Vexan Bass and Walleye rods ready to ship!! 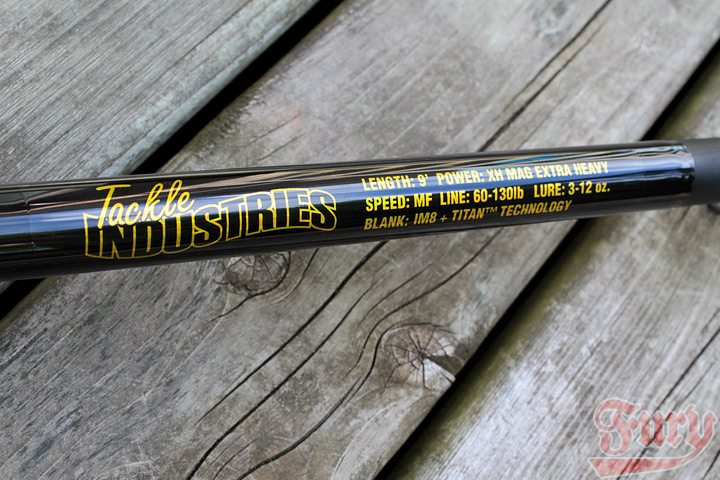 Same awesome rods as the TI Musky rods but for Bass and Walleye! !